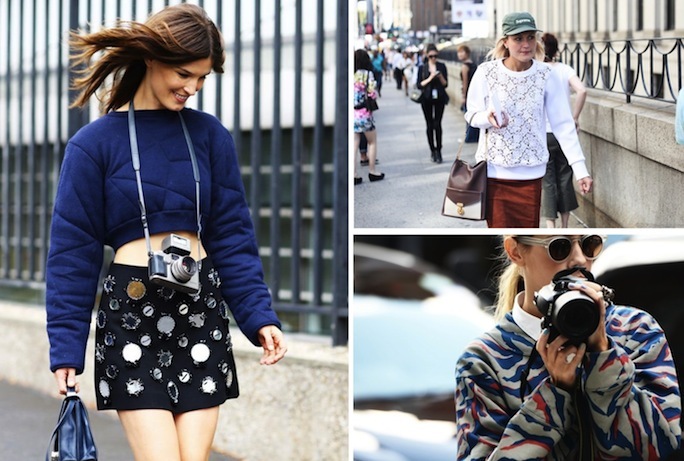 The designer sweatshirt trend started last fall and is still making waves, and now that the weather is cooling down I say bring on the sleeves! Street style stars know how to work the statement sweatshirt like a silk blouse by pairing them with feminine skirts or dressing them up with sleek pumps. This classic lounge wear staple has taken on a new twist with designs including word play and futuristic prints. If graphic designs aren't for you, try playing with texture such as in a this faux leather number or for a more subtle look try a quilted sweatshirt. How I would style a designer sweatshirt? 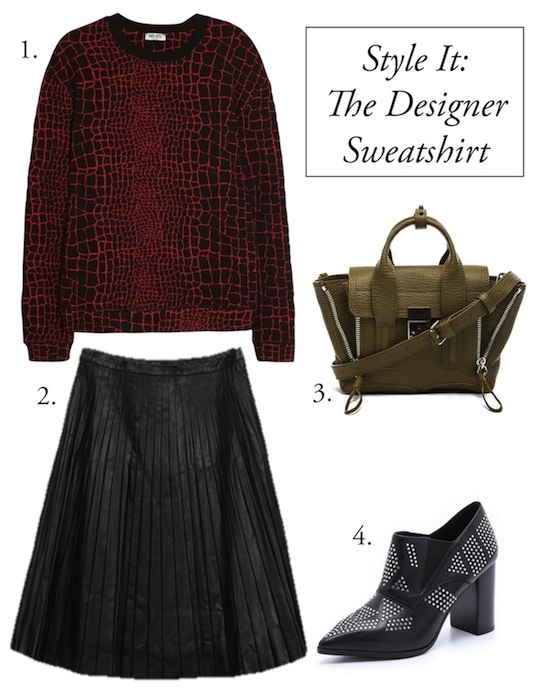 Well for starters, I would put on a pleated leather midi skirt, then I would keep the accessories to a minimum so the sweatshirt could be the star of the outfit. For a casual look I would pair a graphic sweatshirt with boyfriend jeans and pointed flats. I'm a huge fan of sweatshirts, I really am. Love this look. So comfortable and chic!! These are a type of sweatshirt I can get on board with! I've always loved sweatshirts and I love that they're on trend. Love this new trend, and they look so good with relaxed jeans! I love these stylish sweatshirts! Wow! love these sweaters!! especially the quilted one! !